Belongs to one of numerous species of rodents. The best known mouse species is the common house mouse (Mus musculus). The American white-footed mouse (Peromyscus leucopus) and the deer mouse (Peromyscus maniculatus) also sometimes live in houses. 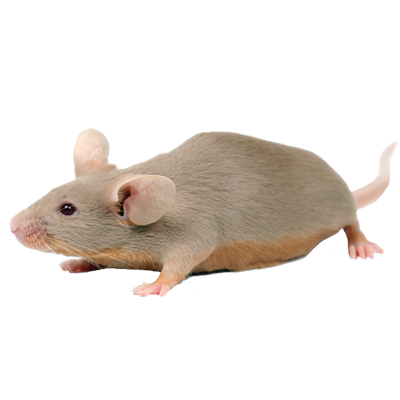 Mice are very harmful pests, damaging and eating crops and spreading diseases through their parasites and feces. In western North America, breathing dust that has come in contact with mouse feces has been linked to the deadly hantavirus. The original motivation for the domestication of cats is thought to have been for their predation of mice and their relatives, the rats.